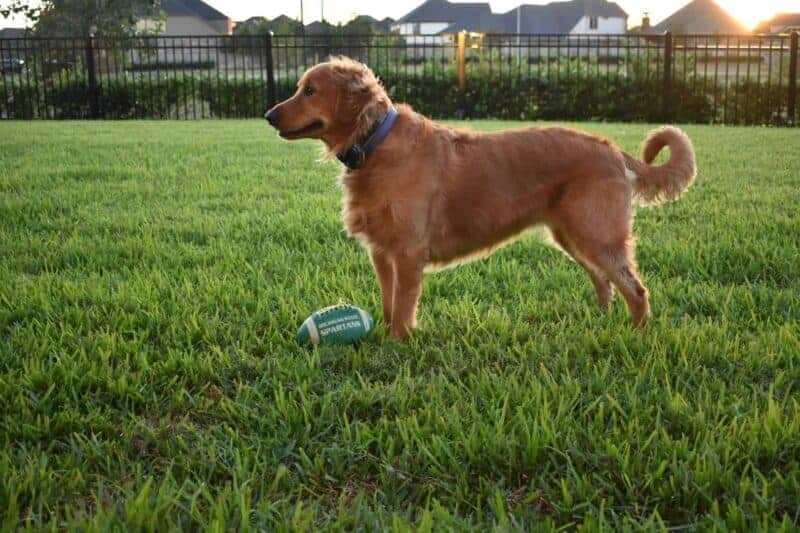 Rule #52: Laissez les bons temps rouler! 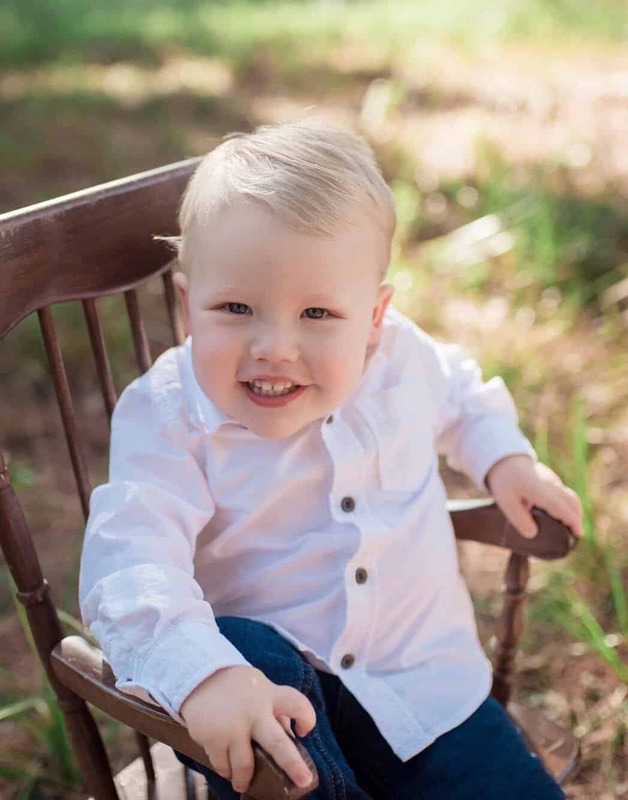 Let the good times roll, y’all! It’s almost time for Mardi Gras, which means I’ve got an excuse to make allllll the gumbo, red beans & rice, and Chicken Piquante I can possibly crank outta this kitchen. I legitimately think I was Creole in another life. It’s my soul food. 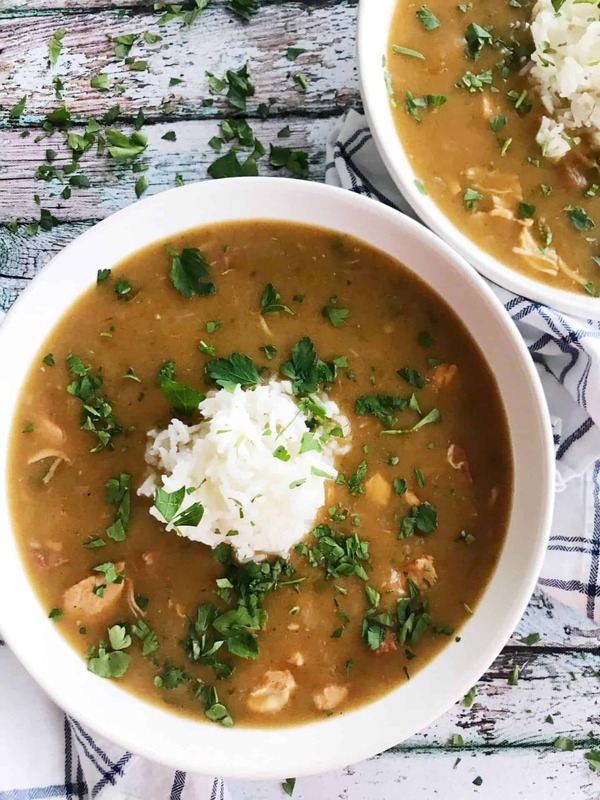 I love the warmth, the comforting depth of flavor, and the “oh yeah baby” feeling I get after eating a nice bowl of hot gumbo. My NUMERO UNO tip for this recipe: CHOP ALL YER BID’NESS AHEAD OF TIME Y’ALL! That’ll be two yeller onions, two green bell peppers, and about 6 stalks of celery. Not to mention the andouille sausage and chicken. Have a choppin’ party beforehand (even the day before) so you can focus on yer roux. 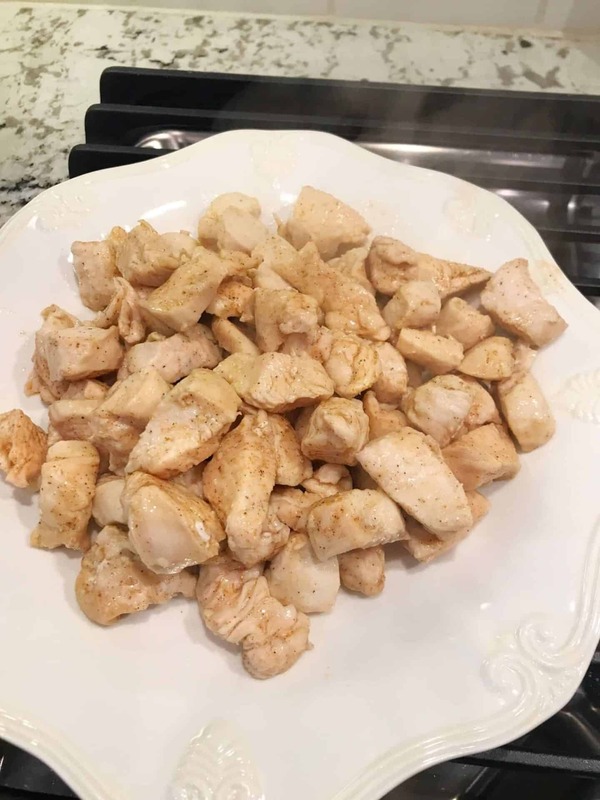 Make sure you cut your chicken breasts (about 1.5 – 2 lbs.) into 1″ pieces. Sprinkle with your favorite Creole seasoning – ours is Tony Cachere’s. Brown the chicken in 2 tbs. vegetable oil over medium-high heat (you’re going to change the heat a lot in this recipe, so make sure you’ve got your Concentration Caps on). Flip and stir occasionally. 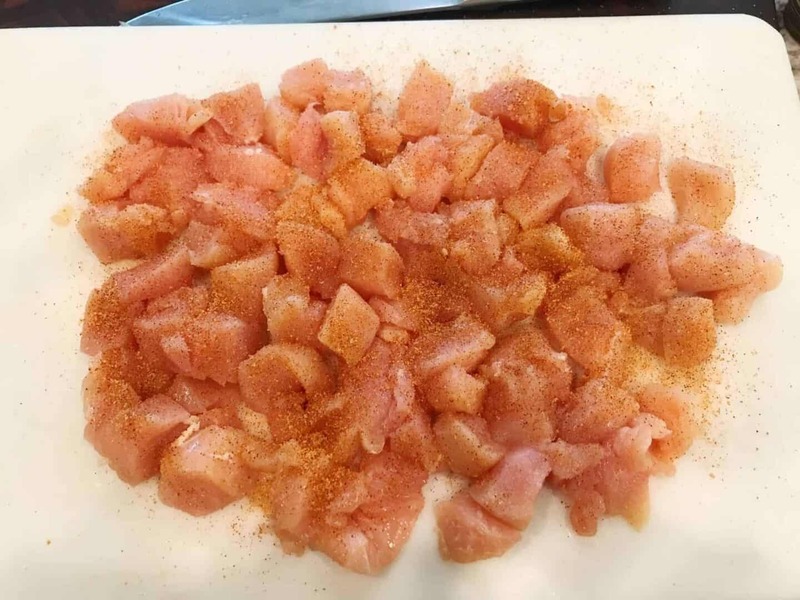 Remove the cooked chicken to a plate and set aside for later. NOW IS THE TIME, FOLKS. This is the moment we’ve been waiting for. This is what GUMBO is all about: le roux. Roux is basically equal parts fat (oil) + flour. The trick is controlling your heat and stirring often. You’ll lower the heat to medium-low, add in 1 cup of vegetable oil, then sprinkle on 1 1/2 cups of all purpose-flour. Stir to combine with a whisk. Cook over medium-low heat, stirring often. 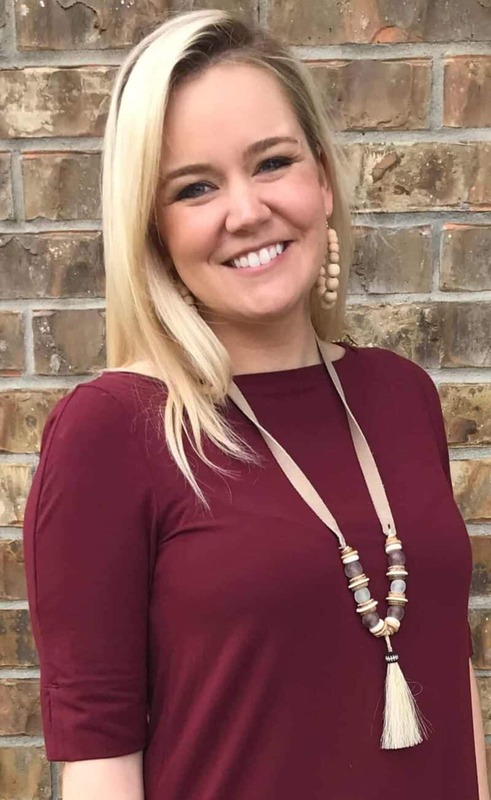 Now, you’re gonna do this little dance for about 20-30 minutes, depending on your stove and which way the wind is blowing that day (kidding). Your goal is to get a roux that’s about the color of hot cocoa. The picture below is as close to the real color as I could get – the glare from the roux was making the color all funky-fied. 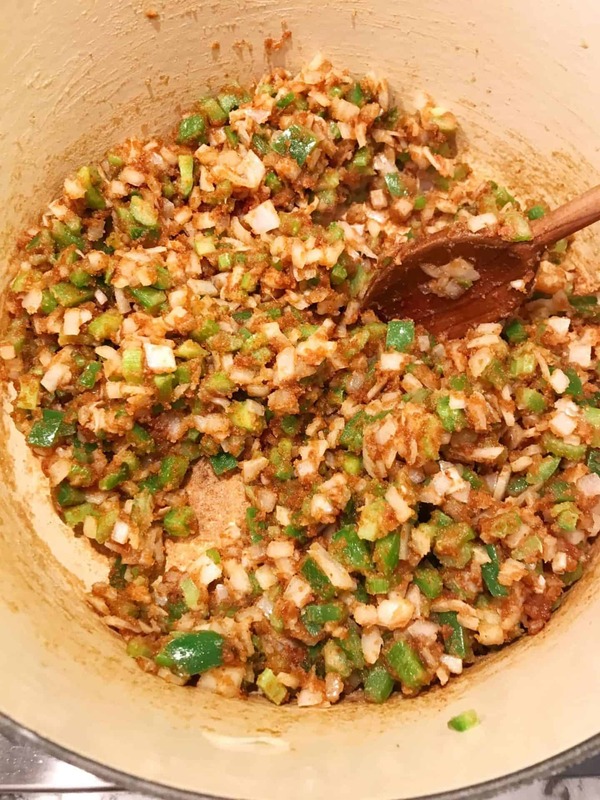 Once you’ve got the ole roux down, throw in your chopped veggies. Raise the heat to medium-high, and sauté for about 8 minutes until softened. The best tool for this is a wooden spoon. Use it to stir and scrape all your good brown bits off the bottom of the pan (that’s where the real flavor is). Next, throw in some diced andouille sausage (8 links). 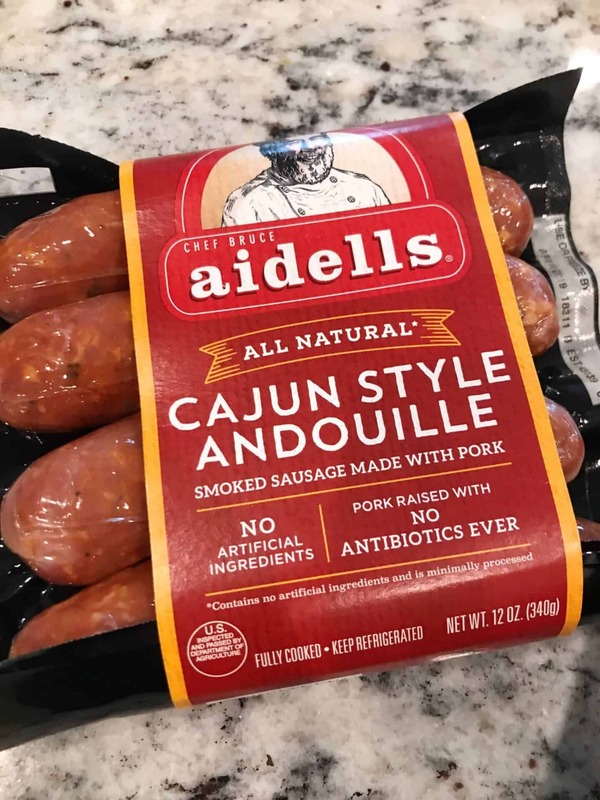 We love Aidells sausage because it has all the yummy flavor and none of the yucky stuff. If you have a sensitive tummy, it’s also not as heavy/harsh as other andouille sausages out there. Sauté the sausage for about 3 minutes, until browned. 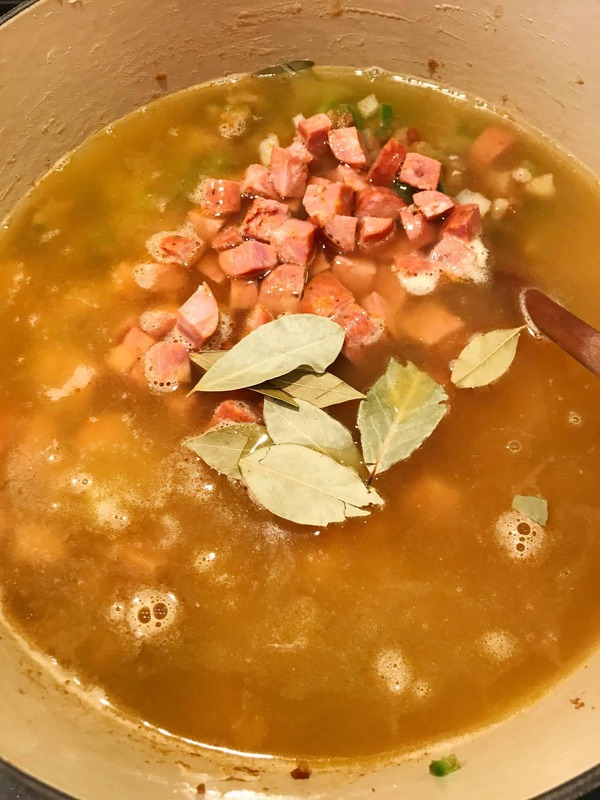 Then, add in yer bay leaves, salt, peppah, and some good chicken stock. Use that ole wooden spoon to really scrape up the brown bits on the bottom and incorporate the roux. Bring the whole thing to a boil, then lower the heat to medium-low. 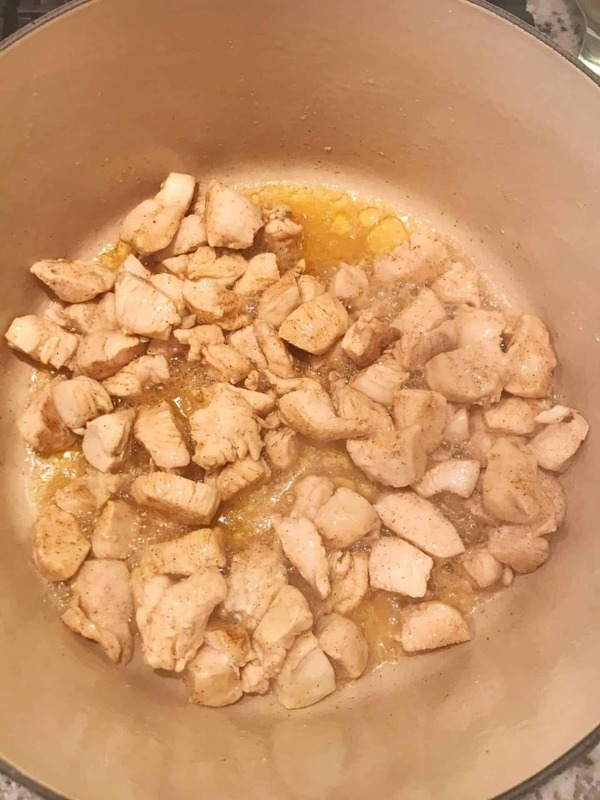 Add the cooked chicken back to the pot, cover, and cook for at least 2 hours. Be sure to stir occasionally and adjust the heat (you want just a bare simmer). 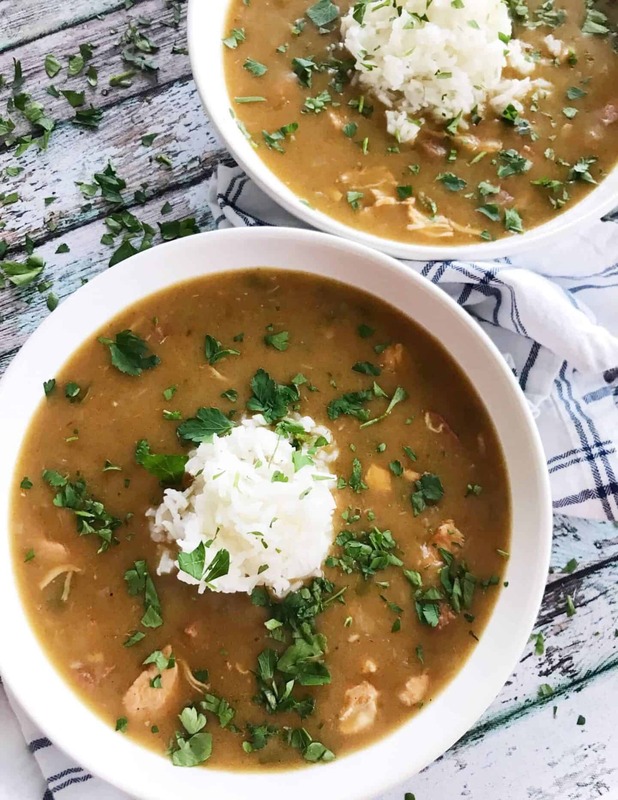 Serve this delicious bowl of Creole comfort food with some cooked white rice, chopped flat-leaf parsley, and your favorite hot sauce. In our house, Tabasco is King. That was a serious family feud between me and my brother. He was a Louisiana Hot Sauce man down to the bone. He also burnt his roux once, so I’d say I have a leg up on him in that department (haha sucker)! Whatever your sauce of choice, always laisse bon temps rouler! In a large Dutch oven or stock pot, heat the 2 tbs. vegetable oil over medium-high heat until shimmering. While the oil heats up, sprinkle the Creole seasoning all over the chicken pieces until coated evenly. Brown the chicken in the oil until cooked on all sides, flipping and stirring as needed. Remove chicken to a plate, and set aside. Lower the heat to medium-low, and add remaining 1 cup of vegetable oil to the pan. Sprinkle the flour all around the oil, stirring to combine with a whisk. 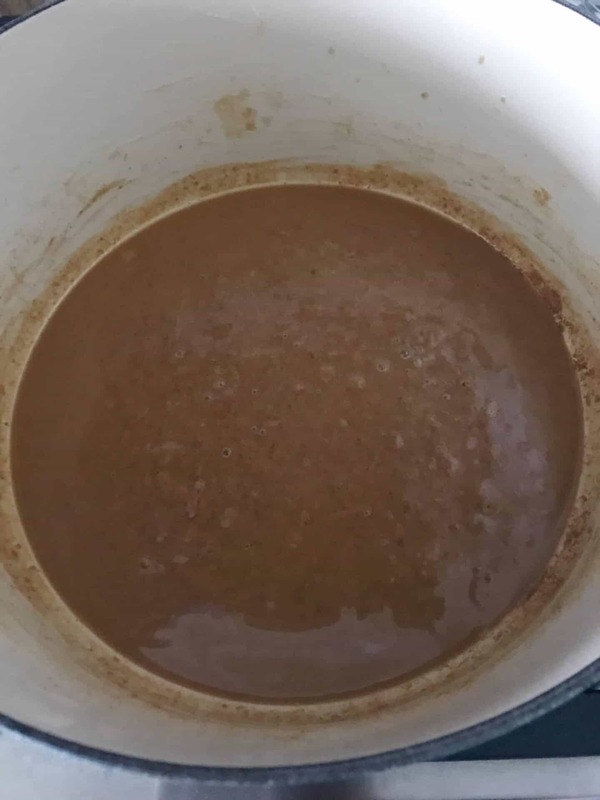 Continue stirring and cooking over medium-low heat until a dark roux forms (color of hot cocoa). This could take 20-30 minutes depending on the heat of your stove. 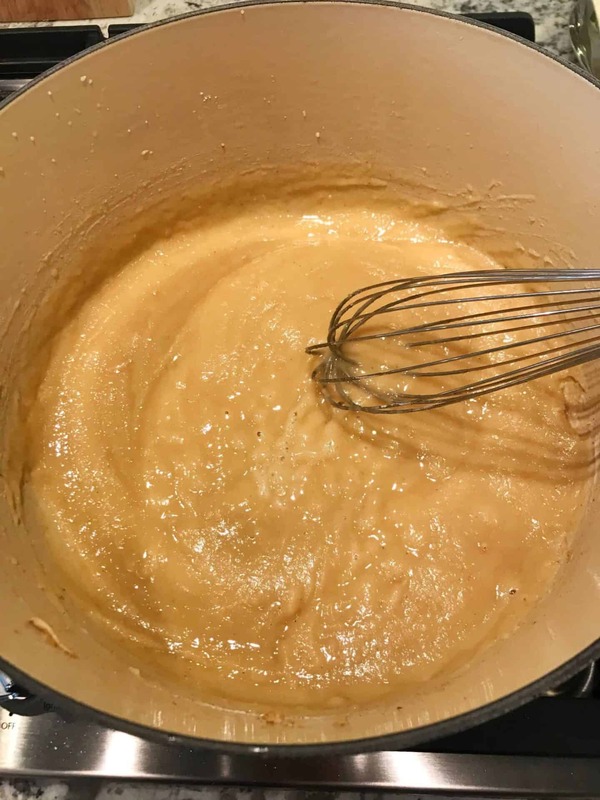 Be sure to stir often so the roux does not burn. 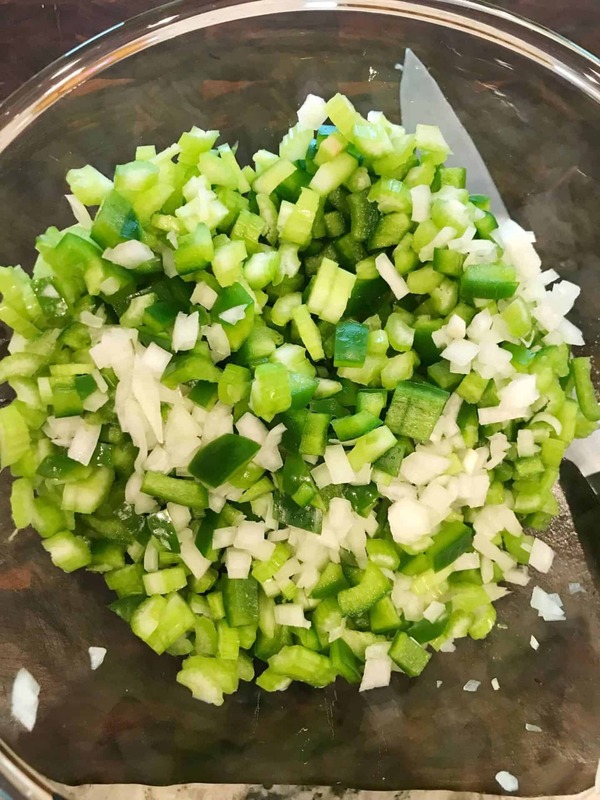 Once your roux is formed, add in the onion, bell pepper, and celery. Raise the heat back to medium. Stir to combine and sauté until veggies are softened (about 5 minutes). Add in the sausage and sauté an additional 3 minutes, stirring occasionally, until sausage has slightly browned. Add in the bay leaves, salt, and pepper. Stir to combine, then pour in the chicken stock. Whisk until roux has dissolved into the stock. Bring to a boil, then reduce to a simmer over medium-low heat. 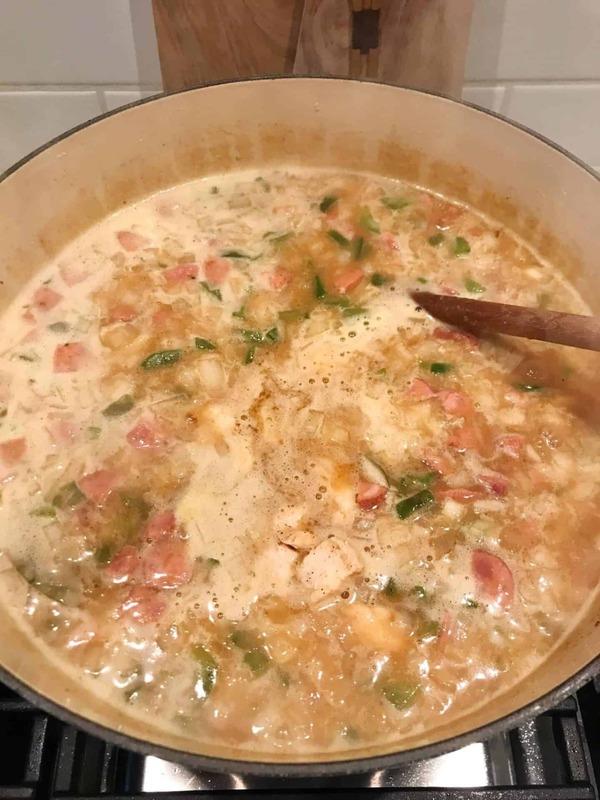 Add cooked chicken back to the pot, cover, and cook for at least 2 hours, until all the flavors have blended and the gumbo is to your desired thickness. Be sure to stir occasionally and scrape the bottom of your pot with a wooden spoon to get up anything that may be stuck. Serve over rice, with your favorite hot sauce, and garnish with parsley if desired.